What I remember as a young man is that my family would always go to this humble looking restaurant along Banawe Street in Quezon City for very delicious food. I didn’t care what kind of food it was, nor did my siblings. We were all too young. All we know is that whenever our parents will announce to us that we will dine there, we knew our tummies will be very happy after. The restaurant I am talking about is none other than the iconic Muang Thai restaurant. We would always have difficulty finding a table for a family of 7 because it was always full but we would always wait because it is “really worth it”. Recently however, the Banawe branch finally closed its doors which made me and my family sad because it was an all-time favorite of ours. 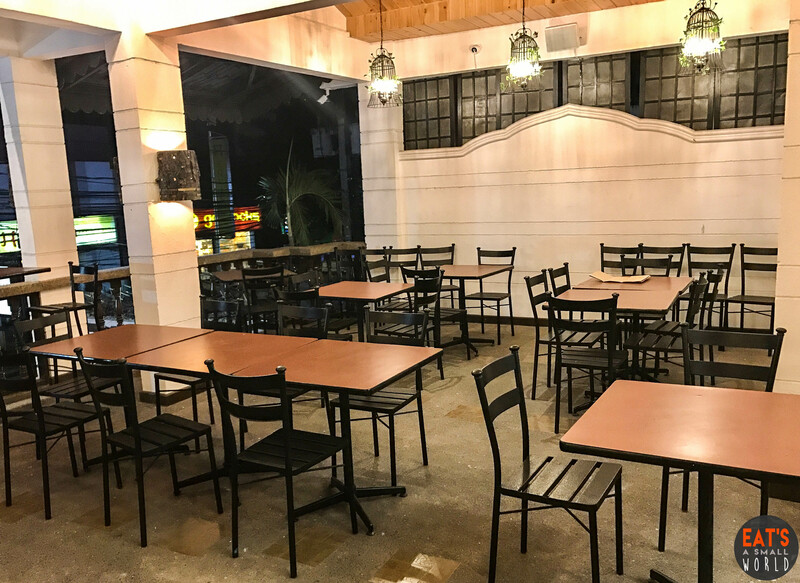 However, we found out that it just transferred to the opposite side of Quezon City – in the popular Malakas St. near the Teacher’s Village/Sikatuna Village area in Diliman, Quezon City. This time, the structure is no longer humble-looking. It reopened in a new location with a fresh new look and a fabulous “bang”!! Muang Thai now has an imposing facade: well lit at night WITH parking spaces for its clientele. Its architecture is unmistakably Thai, complete with pitched roof and krabueng hangmon or something decorative found in the roof’s gutter. A security guard looks after the cars of its clients. Diners are greeted by this collection of extra large hanging lamp shades. Tiles in light gray shade look good against the restaurant’s all white wall paint. Pretty chairs and tables in Thai hardwood decorate the dining area. A pocket garden with waterfall provides a most welcome site. 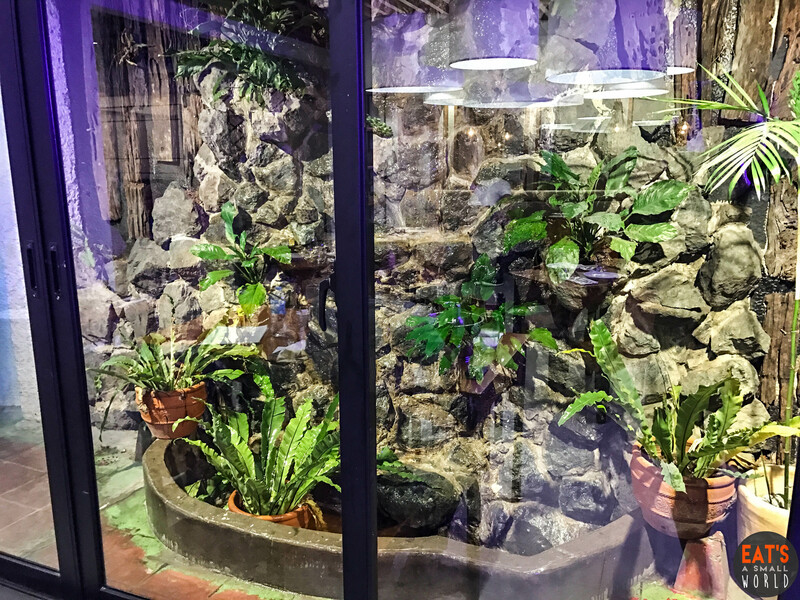 The sound of water and the color green really does have a relaxing, calming effect on people. This is really so pretty. 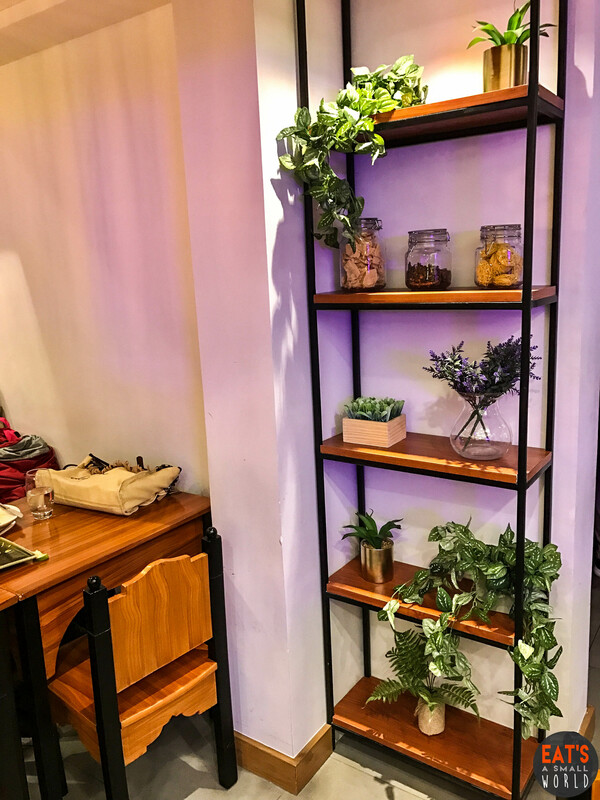 Muang Thai has nice corners decorated with plants and jars with dried ingredients needed for cooking. 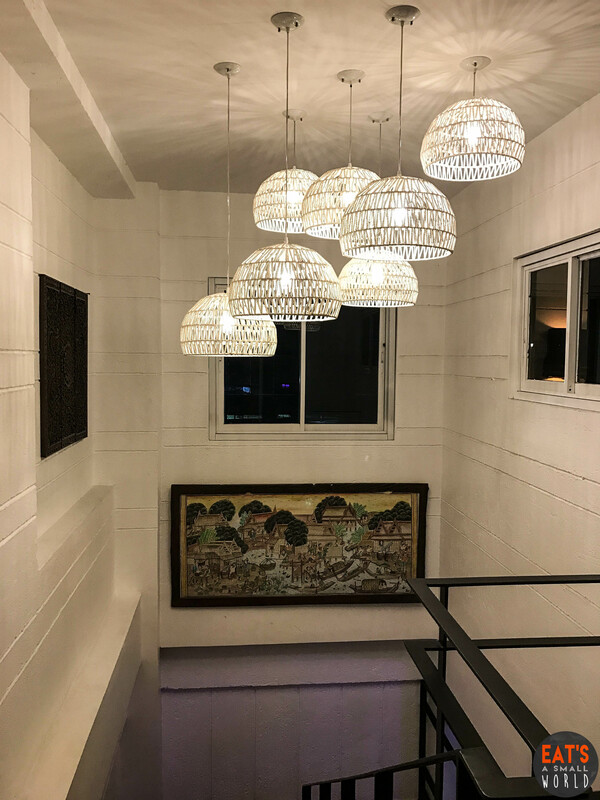 Modern “pendant lights” illuminate the stairs leading to the second floor where a funtion room awaits celebrators. A vintage painting graces the wall of this establishment. 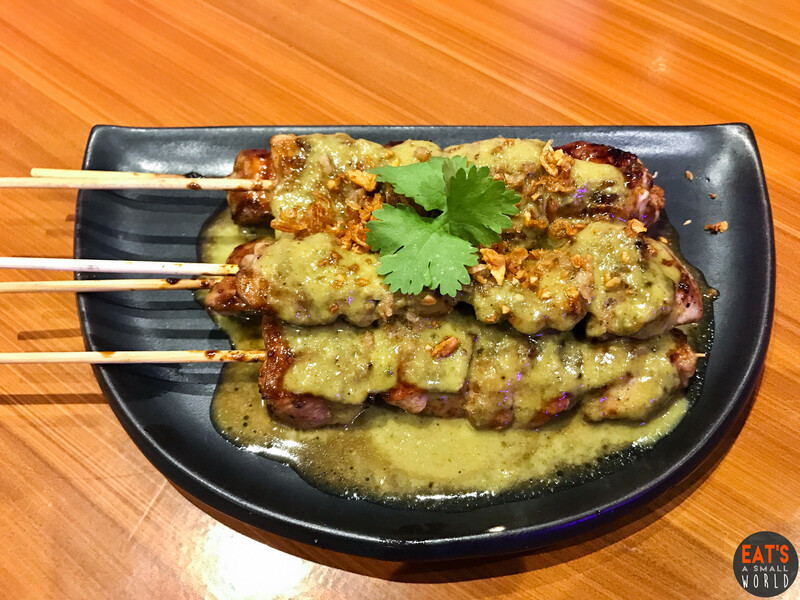 Thailand is known for its very flavorful dishes BUT they also make the most delicious sauces like the sauce of this Satay Gai (char-grilled chicken thigh skewers) with a flavorful peanut sauce. Their dishes make use of so many herbs and spices which the country is blessed with and these herbs and spices make their food alive with flavors. 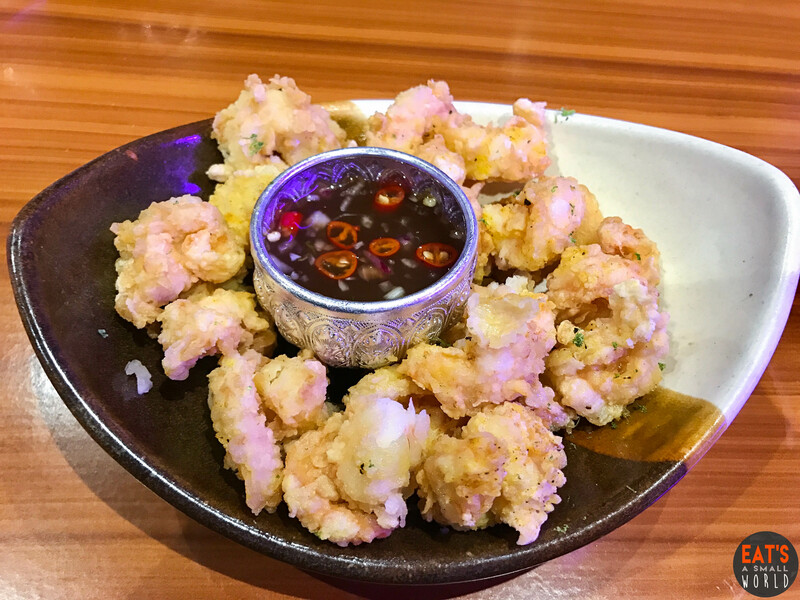 Breaded squid that’s just incredible when dipped in tamarind sweet chili sauce. If you love squid, you’ll probably fall in love more intensely after trying this. The Thais have developed several procedures in cooking that bring out the best in their ingredients. How the catfish meat reached this kind of texture is another story for us to tell. 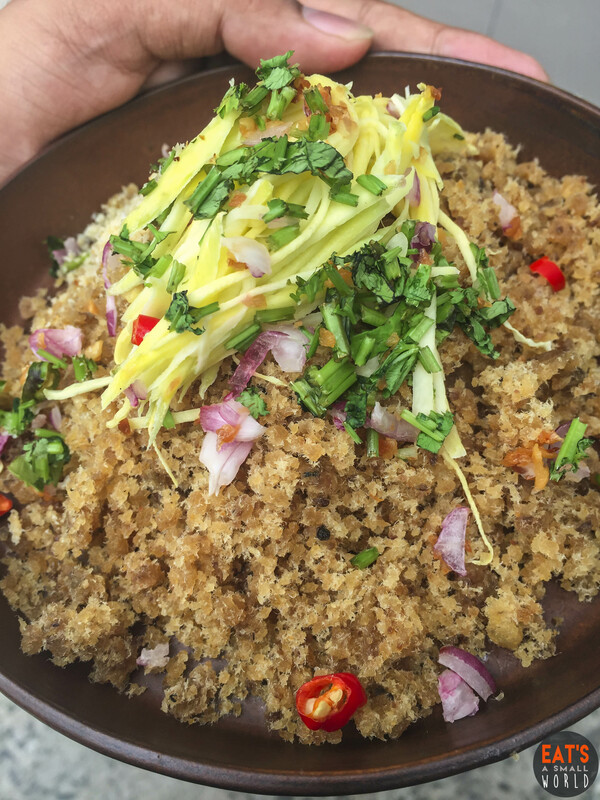 Meanwhile, let us tell you the taste of this dish: when masticated, it releases a spicy (just right) salty flavor that becomes extra special when mixed with the sour flavor of green mango julienne strips. We loved it! 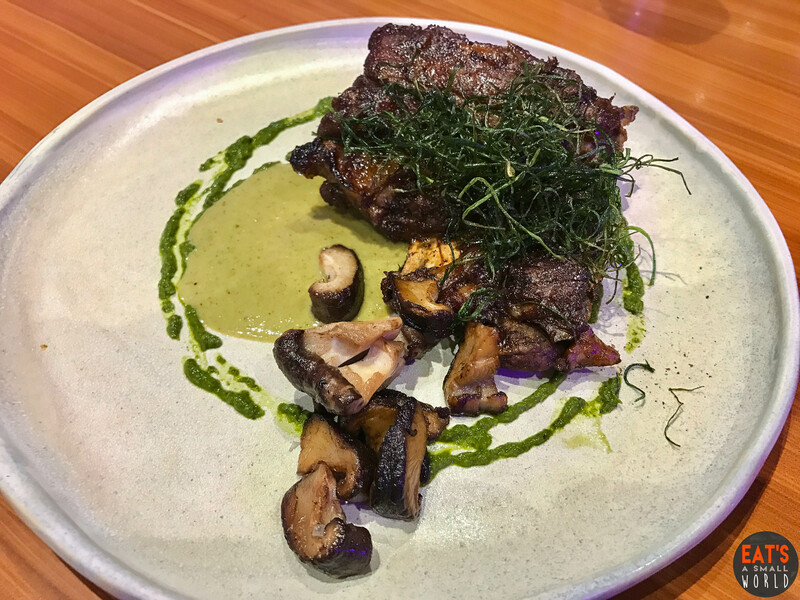 Char grilled pork ribs with sauteed mushrooms served with Massaman curry sauce and cilantro pistou. 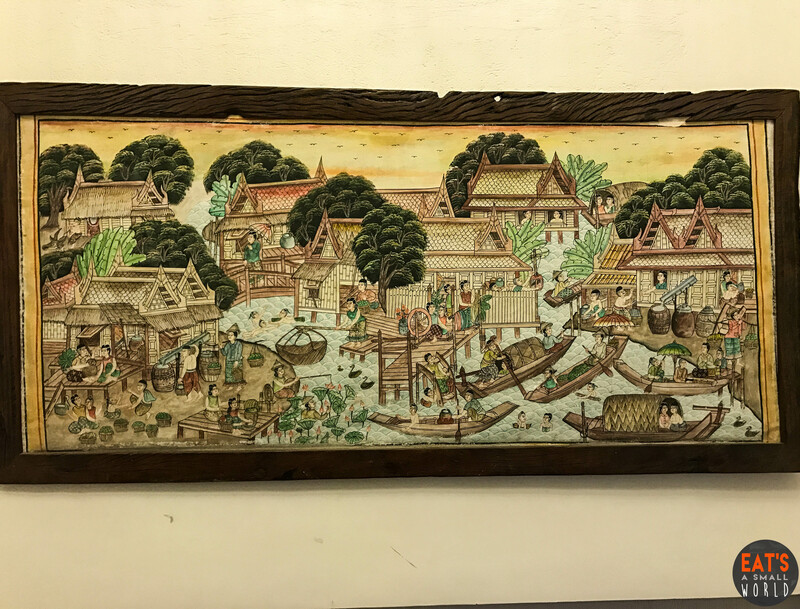 This is another “masterpiece” of Muang Thai and we highly recommend this. The pork was cooked to its most tender point and releases a delicious flavor when wiped with the Massaman curry sauce or cilantro pistou. Of course, a Thai dinner won’t be complete without this dish. 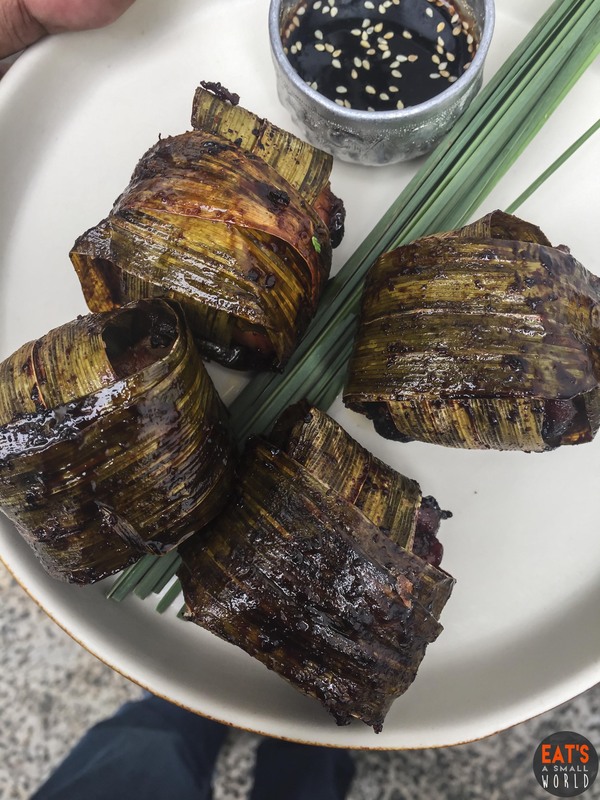 You will definitely want to compare it to other restos to see which one serves the best Thai pandan wrapped chicken. Our verdict? 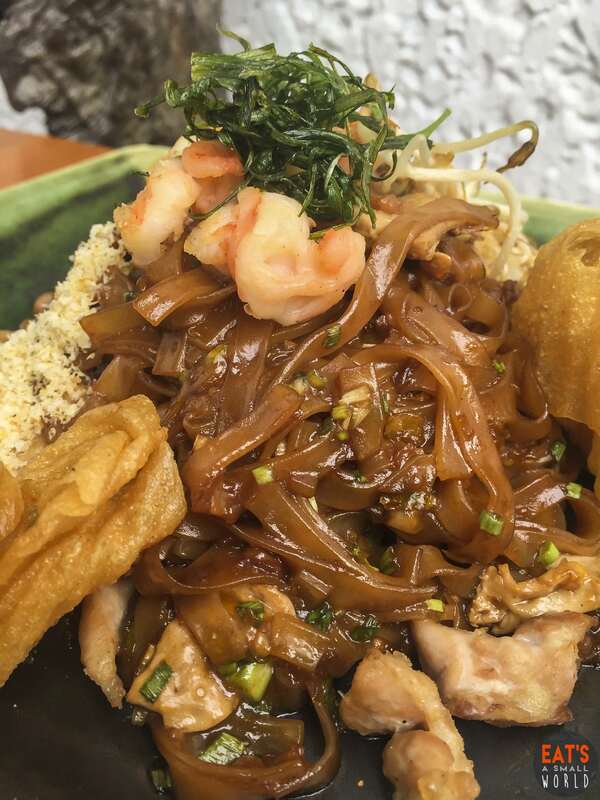 Well, Muang Thai has perfected this dish through its 22 years of existence so it’s small wonder why this has become one of their “best sellers”. The chicken chunks were bigger than those from other restos and the sauce, with its sweet-salty-slightly sour taste, brought out the flavors of the delicious dish. However, I preferred to eat this “as is” so I can fully savor its unadulterated taste. Since more and more people are watching their diet, this mixed veggies rolls with sweet and sour chili sauce will definitely be a good choice. 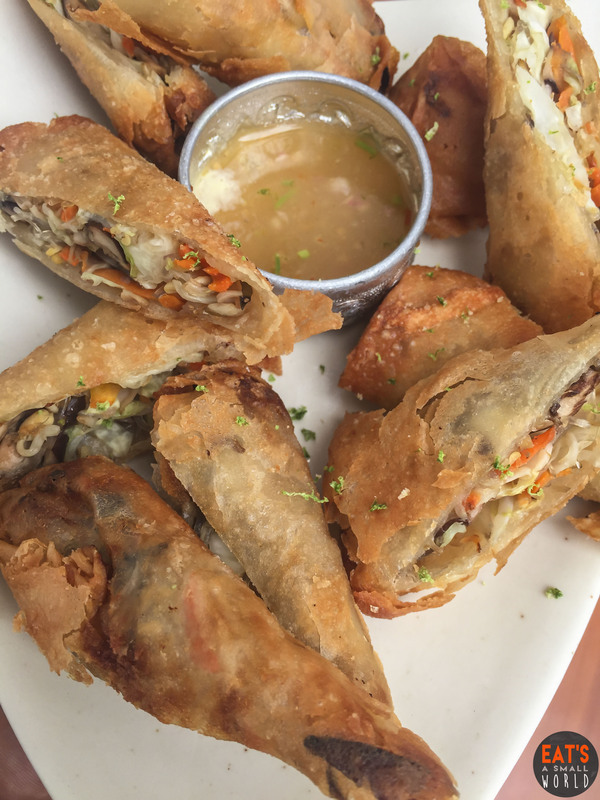 The sauce makes this dish distinctly different from the other Thai restaurants offering the same spring rolls. Good choice for health buffs. Thai food lovers know this dish far too well. Wok fried rice noodles cooked in tamarind sauce with shrimps, chicken and fried tofu. It’s an all-time favorite! 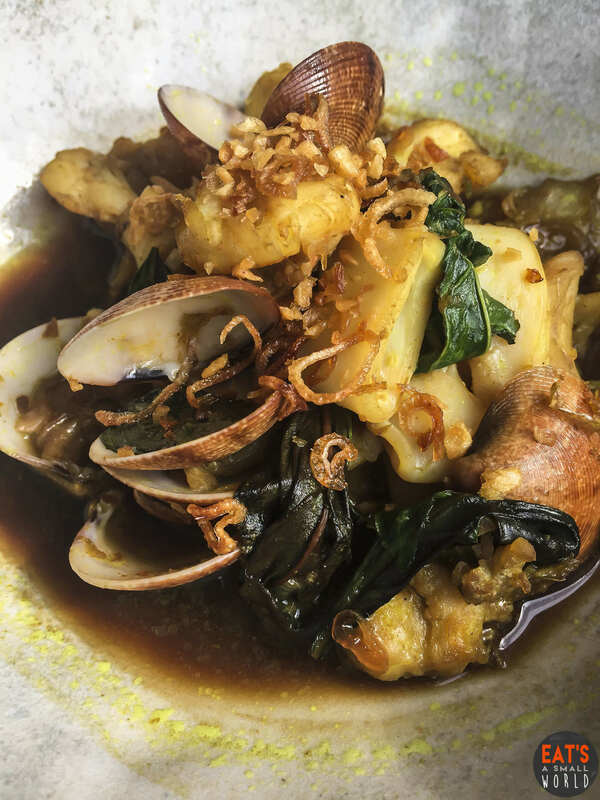 A spicy dish made with shrimp, squid, clams, fish with basil, fried garlic and turmeric. Great for sharing! Looks simple and interesting, right? 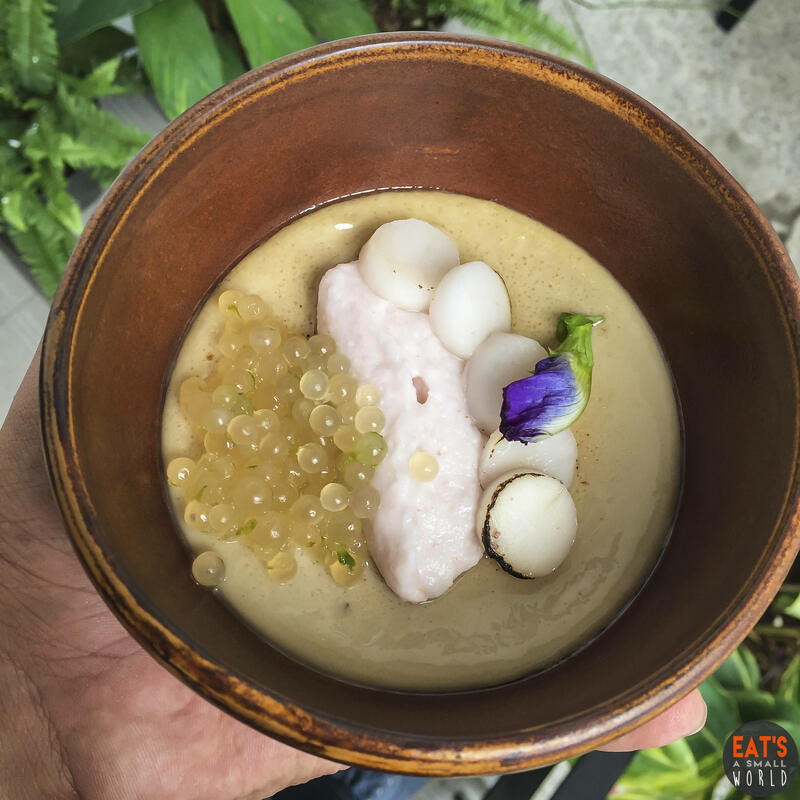 Well, those pretty tapioca pearls and the coconut “coins” when mixed with the coconut puree are just heavenly. The sweetness is not overwhelming and the texture of this dessert is silky. An absolute “must try” desert! Pretty to look at and even better to eat. We absolutely loved the food that we thought of bringing our family and friends here. Better yet, we thought of celebrating special occasions here! 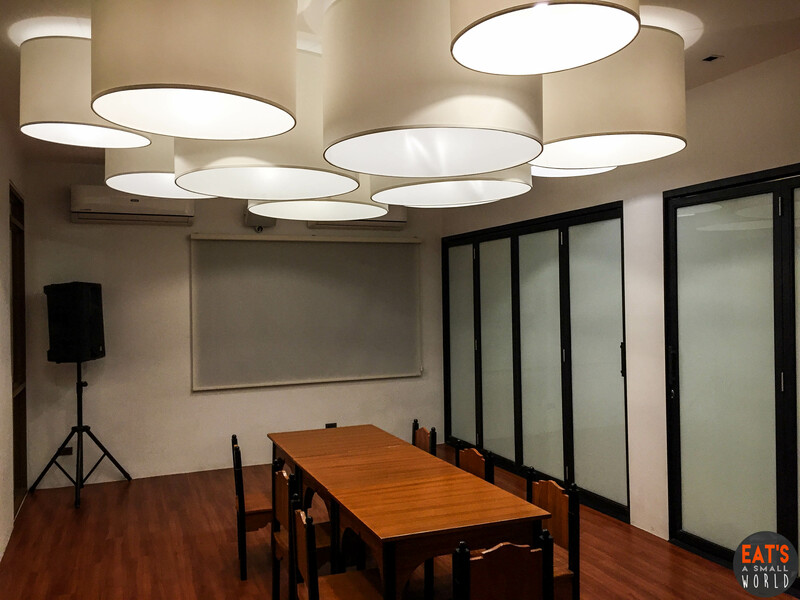 So, we kinda’ looked around and found these function rooms that will fit our specifications! Here is a very spacious room for 10 people. It has a screen too so aside from showing videos of the honored special someone, it may be used too for corporate presentations or business meetings. …and another room good for 10 people as well. This room and the previous room can be one big room good for about 30 – 50 people. But if you want space for games and stuff, 30 guests is perfect! 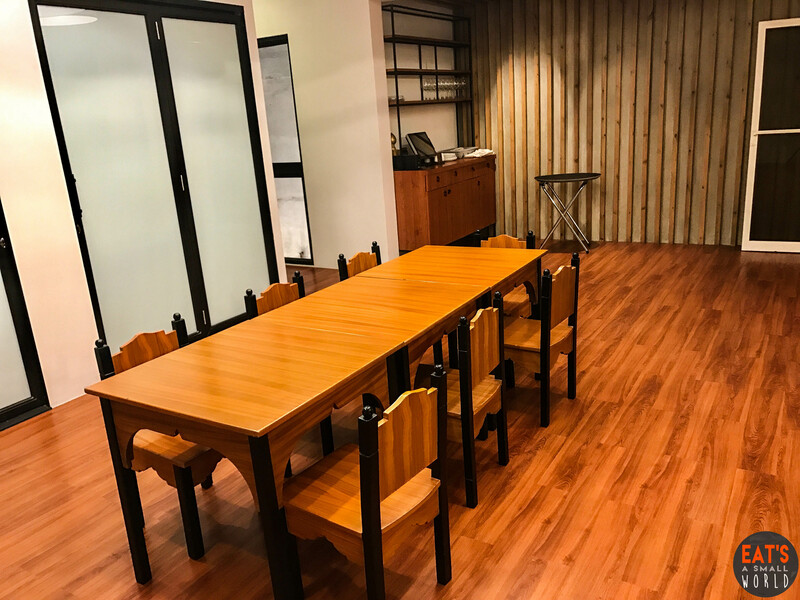 You will have space for dancing, games and other activities. This area is on the second floor and it is good for 40-50 people with so much more space. It’s nice to have a party here! Oh, WOW!! 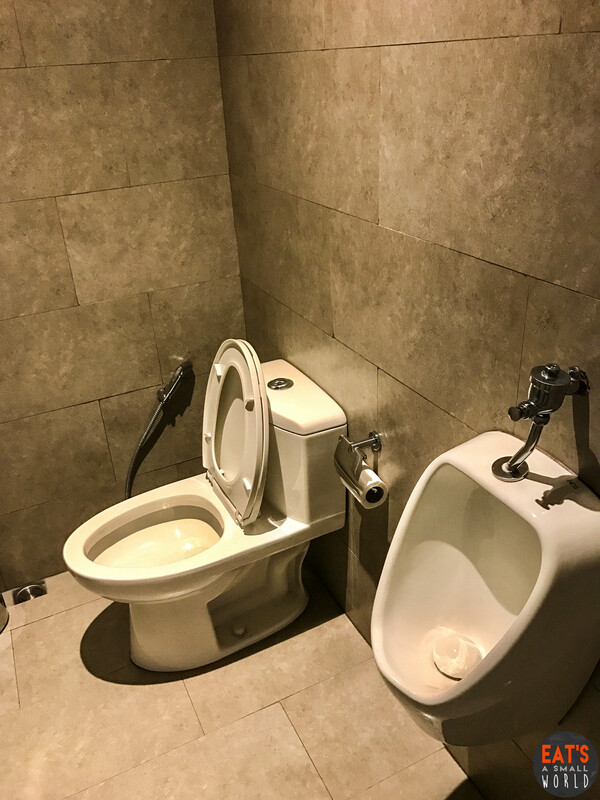 It is like the toilet of a five star hotel! It is modern, clean and tastefully decorated. Two thumbs up for this one! Thank God for man’s invention of the bidet. Muang Thai’s toilet has one! 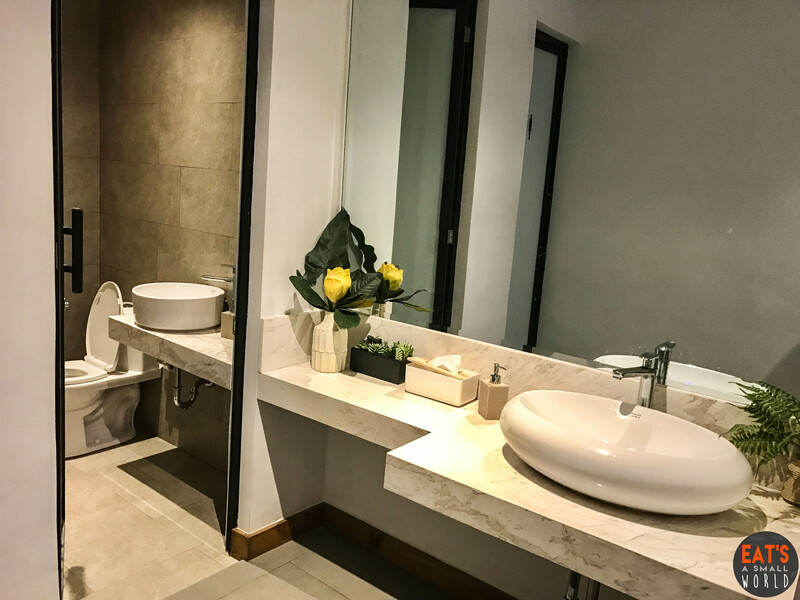 Look at their toilet…it’s so clean you’ll feel safe inside it. Bravo to team for its upkeep! So now…do we at Eat’s a Small World recommend this resto to you? 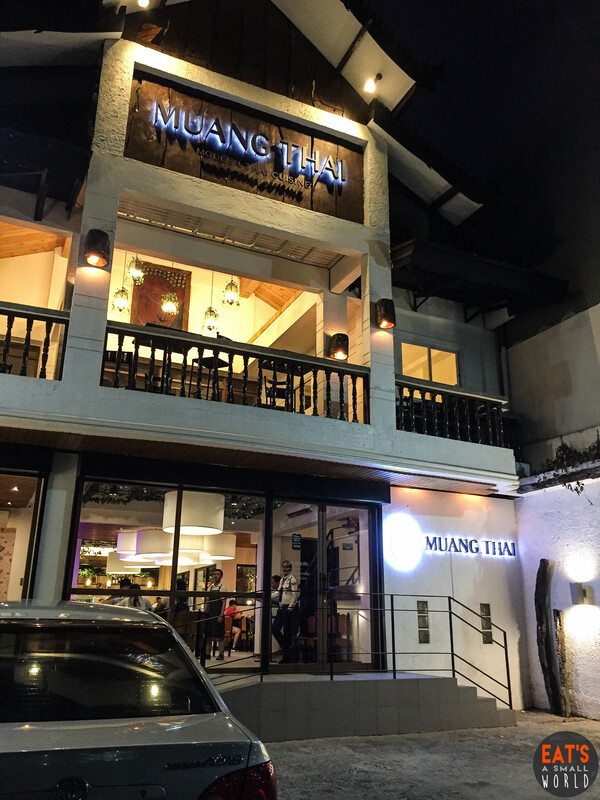 Regardless if you are a Thai food lover or a Filipino, Chinese, Italian, Japanese food lover, you will absolutely fall in love with the incredible, delicious and interesting dishes of Muang Thai. YES! You MUST dine at Muang Thai. DON’T think that Thai food is all spicy…NO it isn’t true. The waiters there will ask you how spicy do you want your dish. If you will say, no spice at all, then so shall it be. So FEAR NOT! 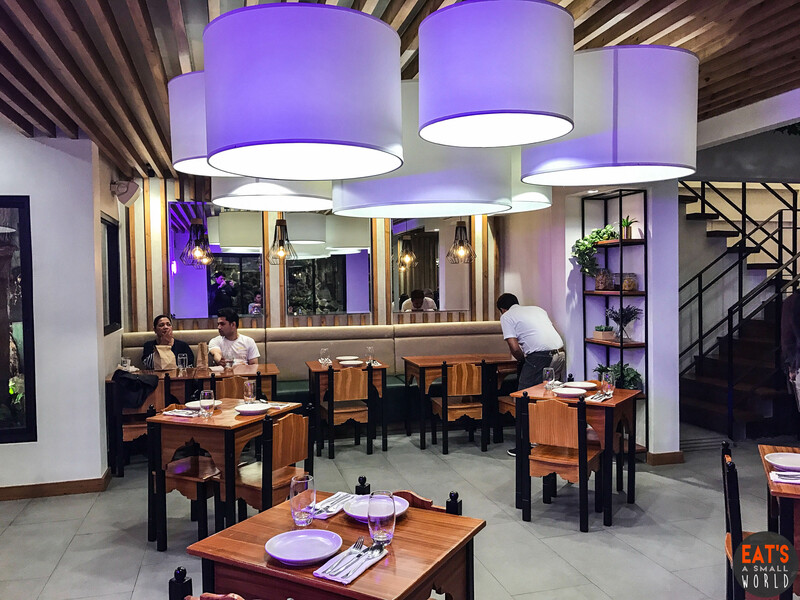 If you haven’t tried Thai food, let this resto “welcome” you to their culinary wonderland adventure.